I've started and deleted this post so many times it's getting ridiculous so I'm just going to say it. I have some stuff that I have to do that I thought would take a few days but is actually going to take a few weeks. It also needs my full attention, which it isn't getting at the moment. So, I'm taking a break from blogging. I think for at least a couple of months, I'm not sure exactly yet. Let me be clear, I'm not 'burnt out' or bored, or tired of blogging. It's that I still, after more than a year, haven't learnt how to manage my time effectively. For those of you who I promised Musical Impressions to in May, I'm really very sorry and I'll be in touch when I get back to see if you're still interested. I'll be taking a complete break from the internet for a week or so, but then I'll be back to reading some of my favourite blogs, so you won't get rid of me that easily! To all of you, thank you for making this the most fun I could ever have with my clothes on. I'll truly miss you. I felt it was only right that I should leave you with a song. This song is dedicated to everyone but especially those who are old enough to remember Lenny before Cinna was even thought of . Take care guys, love you. Sad to hear this news, but something I can totally understand and identify with. I hope you come back and visit the hearth upon your return. I'll keep a seat free for you by the fire. I hope you have a productive blogging break! We all need to get away from the computer from time to time to catch up with life :) Good luck and see you when you get back. Sarah, we will miss you! We'll be here waiting. Sorry to hear that. I hope your stuff gets sorted. Take care! Take your time and make it your time, Sarah. You know where to find us! You will be missed, but life happens. Turns out we will still be here when you get back. Take care of what needs to be taken care of. Sorry you feel you need to take a break but we respect your wishes. We'll be here on your return. I'm sorry that you're leaving but know, anytime you want to post something, feel free to drop in once in awhile. Sarah, we'll miss you! But I hope that you have time to catch up on life. We will miss you!! I hope you get everything done you need to. I'm with you whatever you have to do. I hope everything works out smoothly. You know you're a much-loved blogger and everyone will be happy to see you again when it's time. Obviously, I don't know what's up, but I hope it's nothing too serious. You have my addy. Need to talk/vent? Just drops me a line and I'll have my people call your people. Do what you have to do, Sarah. Lord knows blogging eats a lot of time. Just make sure you come back with a spring in your step! Take care! Uh, good choice! Life is always, always more important. We'll save you a seat until you make it back here. Real Life is way more important, Sarah. Hope you get whatever it is sorted out soon. I've only been following you a short time, but I've really enjoyed your posts. I'll miss your full pages! Best wishes with whatever will have your attention in the meantime. We all need a break. I was wondering why there wasn't any N post from you. I kept checking and checking. *sigh* It's hard, I know. I am taking a two week break as soon as April is over. 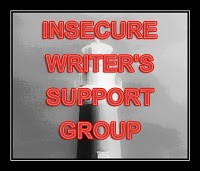 Stop by the blog and don't forget to email me if you ever need to talk. And we'll be here when you get back. *waving* I'll miss you. Oh! I WILL MISS YOU!!!!! I hope that you have a worry free break and you are safe and sound. I find that it is getting harder for me too, but if I skip a day or two here and there, it should be OK with Arlee. Take care of yourself. 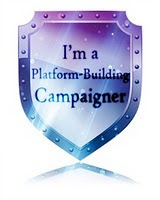 Also it is because you are nice enough to email each person who comments, things can add up, I stopped doing that some time ago, instead I reciprocate and read blogs of people who read mine and of people who do not read mine as well. I've taken several blogging breaks for various reasons. I completely understand. Good luck getting things done! aw sweetie! i think it's super wise of you to focus on the things you need to be doing... though i'll miss you oodles! Sorry you're leaving! Hope your break is productive. I'll be waiting for your return someday. I know what you mean Sarah; my short blog break wasn't accomplishing what I need, so I came back early. A long hiatus would do my reading and writing projects some good. Good luck and for what it is worth, I enjoy reading your blog. I keep coming back! You'll be missed, Sarah - hope to 'see' you once you have things sorted out. Hope you're able to come back to us soon, Sarah! What shall I do without my Sarah!? I shall await your return. :)) Have a fun time off. Hi Sarah .. sometimes we just have to do what we have to do - and it's important you're doing so .. good for you - look after yourself .. we don't go away surprisingly! From reading some of the comments, you're certainly blessed with a loyal following! I'm thinking about taking the same sort of break. We'll see. I can understand the need to do that - I can't manage my time very well either and I have considered doing the same thing. I love blogging but visiting all the blogs I follow takes up a lot of time I could use for writing! See you soon, Sarah! I totally understand. I had to cut back on blogging last year and it killed me a little. :( Do what you need to do. You're in my feed reader, so I know I'll see you when you come back. I'll miss you, but sometimes you've got to do what you've got to do. You will be missed! But everyone needs some time out sometimes. Enjoy! I hope you get everything done that you need to do. There are people who've learned to manage their time effectively? How not cool! I will miss you, Sarah! Do what you need to do and then we will be here when you get back. Good luck! Hurry back! But good luck with all you're doing! Aww Sarah! I will miss you stax! Good luck! Take care Sarah! You will be missed! Bummed out that you are taking a break but I can totally relate. 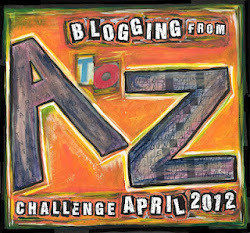 In fact I just came back from a blog break when I started the A-Z challenge. Let me know when you return! Take care and don't work too hard. It's so difficult to manage time when you're doing this sort of work. Hope you'll be back soon. I feel terrible that I didn't get to see this as soon as it was up. But I'm glad you'll still be around. I hope that everything gets into its right place and soon. Time management is one of the hardest things to work out. I fail at it nearly every day. But I keep trying. See you around--hopefully sooner than later. i'm with you on this one...it's so hard to fit everything in! We will miss you too - enjoy the break. We'll all be here when you get back. Take the time you need - we'll be here when you get back! Sadly, I've come back on line only to find you've just left. Hopefully, we'll see each other again soon. I can understand, sometimes your attention is just needed elsewhere. I wish you the best and will happily read your blog again when you get back. Take care! It's all about setting priorities. I'm signed up by email, so I'll know when you're back. We'll still be here. Focus on what you need to take care of and come back. Sometimes we have too much on our plate and need to cut back. We understand. Good luck getting all caught up on everything! Everyone needs a break from time to time, whether they want one or not. Sorry I am late on this Sarah. I hope your time away is productive. I am very sorry I just found out you were going to be gone. Take care of what you need to, I look forward to seeing you when you return. Wow. Look at all your comments wishing you well. We all need a break from time to time. Do what you need to do, and we'll be back when you're ready. I missed this, as I too was away for a week at my native land. I was bogged down with the A to Z challenge or I would have noticed this MUCH sooner. Missing you, and hope you are back soon (and accomplishing what needs done while away). Hi, Sarah, I've been in the A-Z madness and it occurred to me that I haven't 'talked' with you in a while. I hope you've been able to sort out and bring under control some of things you have that need working through. You're in my thoughts. Hugs. I hope you get tons and tons done on your break! Blogging can take so much time-- even when you love it. We all know this, and totally understand. Have fun! I never did get by that often; just when I stop by your no where to be found! I do understand your dilemma though; it is hard to blog all the time when you have so many other things to focus on. Enjoy and much success with all that you do! That is one of the best Lenny Kravitz songs ever! Found you through Alex J. Cavanaugh's First Loves Blogfest. Take care. I hope you're doing all right and that you will be back soon! You must take care of yourself before any other--then you can save the rest of us. Hey Sarah, been wondering where you have been. I hope all is well and that you come back soon. Hope you're doing well. Take care of yourself. Just dropping by to see how things are going. I hope you're still finding time to write your stories. Indeed one of Lenny Kravitz great songs. I love "All of My Life" too. Nice to see you pop up on the blog this morning! Did you read House? If so, what did you think? I'm gonna email you, too, to make sure you get this. Hope all is well with you Sarah. I miss hearing from you. Thank you so much for stopping by my blog, and for your kind words about my mother-in-law's death. I do appreciate them. I'm thinking about you too. Hope things are going well. I've taken quite a blog break too, and I'm trying to catch up from missing out on so many people's blogs. I struggle with time management too. Sorry I missed you! Good luck to you! What are the odds? This is the 3rd blog in a row where people are either taking a break or giving up completely. I wish you a speedy return and the very best of luck in your endeavors. Cheers. Hope everything's going well and hoping you'll return to us one day! I stopped by to let you know I miss your blog too! I miss you and your blog. How are you? It is nice to hear from you! Do what needs to be done. We'll still be here. Hey Sarah, I just today - very spontaneously - decided to return to blogging after a 14-month hiatus, so I understand the decision you made last April. I hope all is well with you! Hey Sarah, hoping all is well with you.